As a poet and a bartender, I have a complex relationship with secrets. 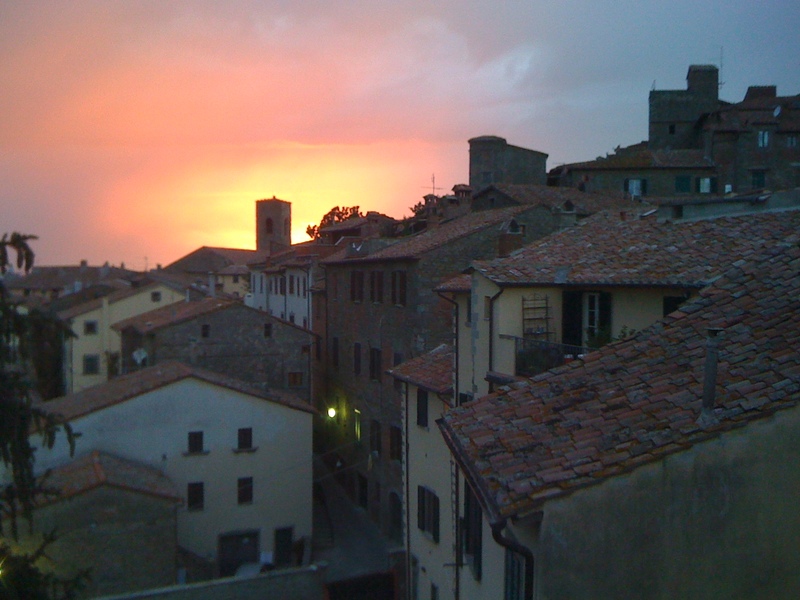 One that I don’t keep, however, is how much I love the University of Georgia’s study abroad program in Cortona, Italy. My experience with this program has been extremely formative for me as a person, poet, and artist. 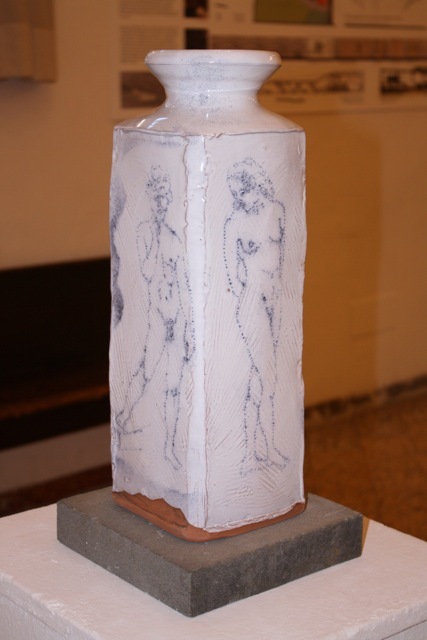 Having first experienced the program in 2003 as an undergraduate, and subsequently visiting the town of Cortona the following three summers, I was given the opportunity to serve as the Visiting Artist for the entire year of 2010. It was during this year that I began writing poetry and started to consider MFA programs. Working with and among artists of various media, I realized that, for me, poetry and art were inextricable. Operating within other art forums opened up new ways of thinking about art, in general, and poetry, in particular. 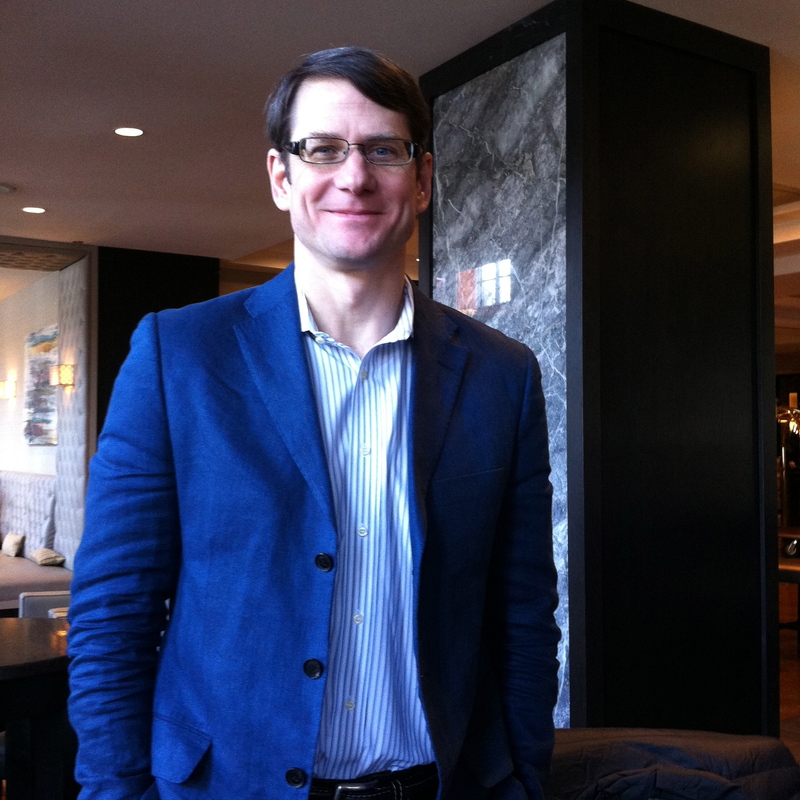 This past week at CAA, I was able to catch up with a dear friend, Chris Robinson, who is now the Director of the Cortona Studies Abroad Program, and Chris brought me up to speed with what the program’s doing now and why his delayed and rerouted odyssey to CAA is worth it. Daniel: Chris, how did you first become involved with the program? 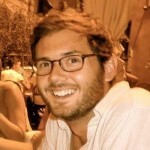 Chris Robinson: As a graduate student at the University of Georgia, I was fortunate enough to participate on the Cortona program during the summer of 2000. I was asked to go back to Cortona during the summer of 2001, to assist the then program Director, RG Brown. Shortly after that experience, RG asked me to work for the program, so in January of 2002, I moved to Italy and began working for the program. From 2002 to 2010, I worked for the program in roles that included Studio Coordinator, Professor of Records and eventually Associate Director. I transitioned into the Director position in January of 2011. DSP: What role does/has CAA play(ed) for you in terms of both your own artistic pursuits as well as your position as program director? CR: UGA’s Lamar Dodd School of Art (LDSOA) and the Cortona program have benefitted from CAA initiatives and wide-spread connectivity with many institutions, for many years. CAA and its annual conference have served as a dissemination point to reach prospective students and faculty, connecting various disciplines and circles of art educators. It has also allowed us to stay current with best practices, research, trends and art topics. Distributing information about the Cortona program whether by word of mouth marketing, printed material or web-based practices, has proved fertile ground through CAA and its conference. DSP: Could you say a little bit about your work as an artist and how your experiences/exposures in Italy have informed or transformed your art making? CR: Much of my ceramic work leans towards a contemporary sensibility while referencing the ubiquitous history of the material’s past. Italy has exposed a vast connection between cultures through artists and craftsmen. These cross-cultural connections throughout history has truly feed my work in the studio. Again, my personal work has to do with a more contemporary approach to clay while being compelled by ceramics of Italy, the Mediterranean, Maghreb and the Middle East from the 10th – 16th centuries. 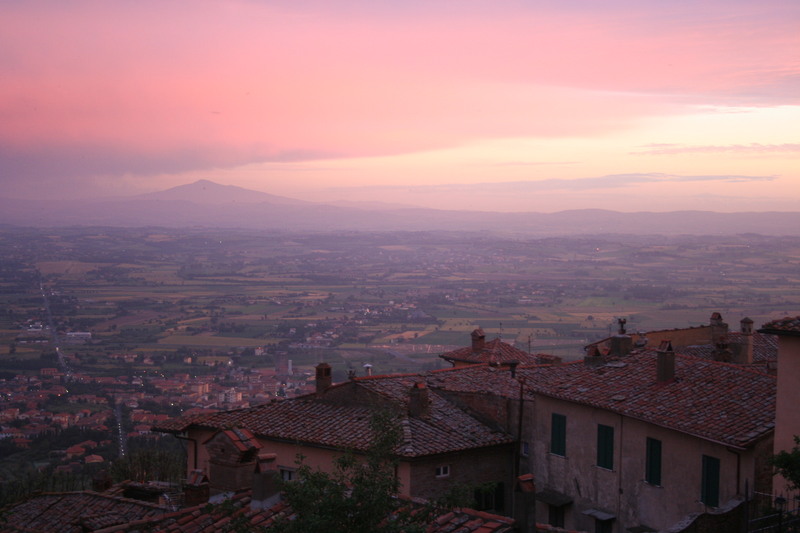 DSP: What do you see as the value in study abroad art programs, and specifically in UGA’s program in Cortona? CR: The studies abroad experience has exploded exponentially over recent years, riding tandem with the notion of internationalization, globalization and wide spread communication (if you can separate those terms now). The infinitely faceted conviction of art nearly demands the exposure to international systems whether considering historical or contemporary approaches to making art in today’s world. Thus, the study abroad art program experience intrinsically offers opportunities for students and faculty to see the history of a global society, what that means today and where their place is within it. Again, the different directions of art today is vast, and the relation to today’s world is important. Exposure to how art has been made in different parts of the world and how its now being made in different parts of the world is important for students to be exposed to, so they then find their voice and place and how to express it. DSP: I feel that your experience with the program did so much work to galvanize the relationship between the Cortonese and the university’s program and students. How do you feel that you were able to become so intimate with the local community, and how do you encourage the students to foster this same kind of relationship? What does this relationship mean for both the local community and the students? CR: My experience in Cortona fortified a curiosity to break through the cultural surface, discovering more about such a timeless place and people. Again, I was fortunate to have more time there which did enable a connection with the Cortonese and to learn the Italian language. Of course, learning the language breaks down many barriers. That being said, I think an incredibly effective way to break down cultural barriers comes through making and sharing art. This can be successful whether its visual, performance or even studying art history to understand the foundations of the Italian culture. We also create opportunities through the program, offering opportunities to students and faculty to connect with the community. One example would be our Art Education program. After working on lesson plans, the Italian language, and gaining a basic knowledge of the school system in Italy, our students go into the Cortona elementary and middle schools to teach art to the Cortonese children. Again, by using art there is another level of communication; in addition, through this opportunity our students connect with families and community systems. DSP: How would you describe the state of the program now, and what direction do you see it taking under your directorship? CR: The state of the program is healthy and experiencing a continuum of its original mission and success. The program is very interested in expanding its course offerings and in fact has offered courses is areas beyond its studio classes such as Classics, Chemistry, and English. It has also added “Maymester” courses in areas such as Viticulture and Enology program (from the College of Agriculture and Environmental Sciences), Science and Art History program and a Theater program. We are also looking into programs (semesters) that will have a common thread or theme such as a contemporary approach to art. This program, as an example, would have courses in contemporary art practices, contemporary art history courses, and specific visits to contemporary art galleries including a trip to Venice for the famous Venice Biennale. We do wish to boost our offerings and enrollment for our spring and fall programs, as these are our longer running programs and can truly offer students and faculty a learning and life enriching experience with longer exposure to Italian art, landscape, culture, history and life!